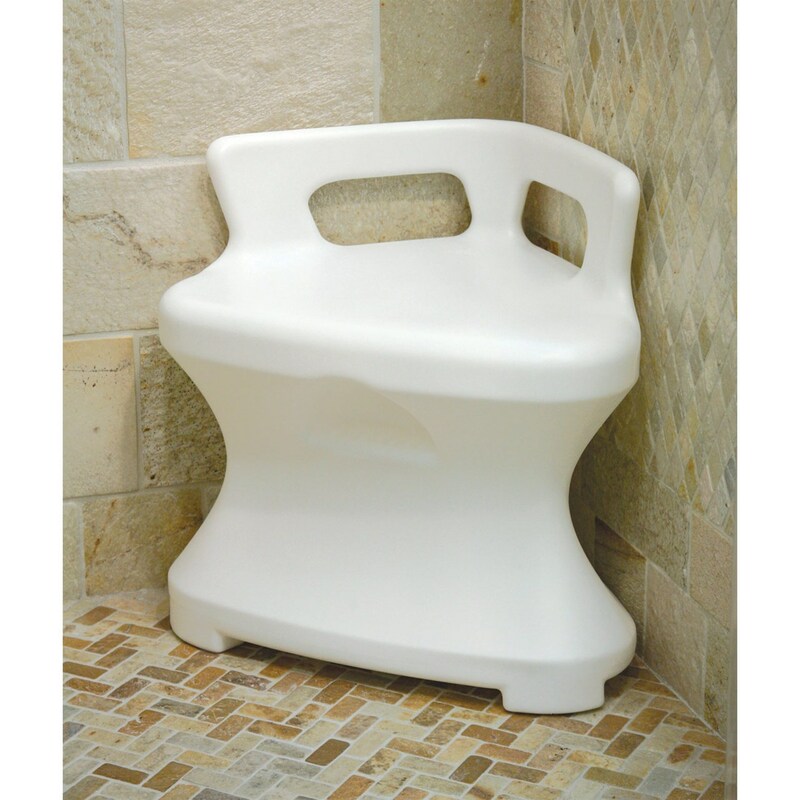 Heavy duty seat fits into the corner of a shower stall. Provides a safe, comfortable seat for people who have difficulty standing for long periods of time. Features a built-in soap holder. Seat measures 16-1/2" (42 cm) high and 23" (58 cm) wide. Supports up to 300 lb. (136.36 kg).